Born Barney Lebrowitz on June 10, 1891 in Philadelphia, PA. Began boxing career in 1909, fighting as Barney Williams and later adopted the name Battling Levinsky (1913). 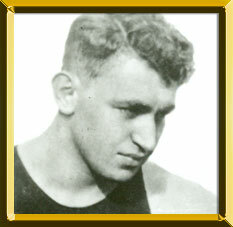 A clever and skillful boxer, Levinsky repeatedly met many top middleweights, light heavyweights and heavyweights of his day, including Leo Houck, Eddie McGoorty, Billy Miske, and Hall of Famers Tommy Gibbons, Harry Greb and Young Stribling. Under the guidance of Hall of Fame manager Dan Morgan, Levinsky set his sights on the light heavyweight championship of the world. He defeated archrival, Hall of Famer, Jack Dillon for the world light heavyweight crown on October 24, 1916. All totaled, he boxed Dillon ten times. In 1918 he was KO'd in three rounds by future heavyweight champion Jack Dempsey. Levinksy lost the light heavyweight title to Georges Carpentier on October 12, 1920 and unsuccessfully challenged Gene Tunney for the American light heavyweight title in 1922. Levinsky retired in 1930 with 289 fights on his official record, but it is speculated that he actually engaged in over 300 contests. He died on February 12, 1949 in Philadelphia.